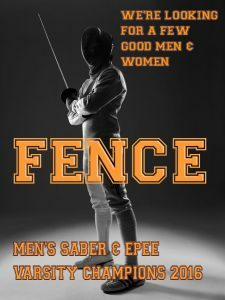 The Fencing Season begins with an orientation meeting in October ( date TBD ), with practices Mon, Tues, Thurs. November – early February. Tournaments are on Saturdays. Stay tuned for updates on orientation.